We all know very well that the tech giant Google has already launched its new smartphones of the Pixel line, of course, the all-new Pixel 3 and Pixel 3 XL and not only that, even the tech giant Google also launched its all-new Pixel Slate with game-changing new features. We know that the tech giant Google finally presented its all-new flagship smartphones, of course, Pixel 3 and Pixel 3 XL. What also seems clear is that they will not come alone, and analysts agree that the Mountain View, of course, the tech giant Google is also planning to show us the new devices Made by them for the next year. Yes, the tech giant Google’s Pixel Slate is a Google tablet or a convertible laptop whose most outstanding feature that we know so far is that the keyboard is detachable from the screen. It would be a device of smaller dimensions than the Pixelbook and would be specially designed to compete with the tech giant Microsoft Surface Go. 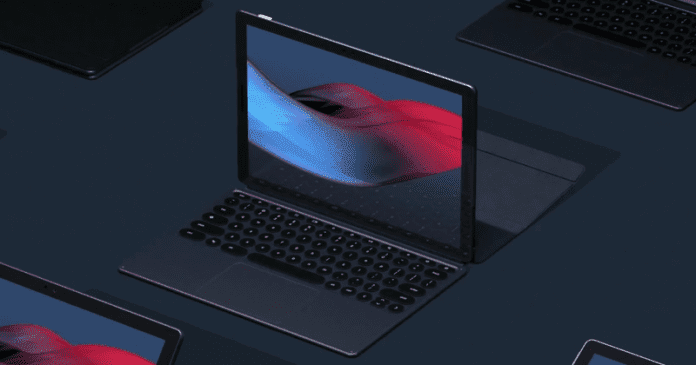 The tech giant Google’s Pixel Slate is the new Chrome OS tablet with a detachable keyboard cover that turns it into a PC, a concept close to what the tech giant Microsoft and the tech giant Apple already have with their Surface and iPad Pro devices. The Pixel Slate has a 12.3-inch screen, the sharpest in its class, according to the tech giant Google. With a resolution of 3000 x 2000 pixels, the new tablet has a pixel density of 293 PPI, the highest for a 12-inch premium tablet. This screen also comes with Energy Saving LCD technology called Low-Temperature PolySilicon (LTPS), which allows to place more pixels without sacrificing size or battery life. Moreover, the all-new Pixel Slate of the tech giant Google should last up to 12 hours with a charge, which is impressive considering its thickness of only 7mm. When coupled with a mouse or keyboard with a trackpad, the interface of the tech giant Google’s Pixel Slate simply changed to a “normal” workspace, which most people are already familiar with. Without the peripherals, it immediately gets converted into a tablet mode, optimized for touch. In this profile, the home screen displays icons for installed apps, as well as the app drawer known from Android phones. And not only that even you can also split the screen for simultaneous running of two apps, among other options. The tech giant Google’s Pixel Slate will be available with Intel Celeron or Core m3, i5 or i7 processor, with 4 GB to 16 GB of RAM, at a starting price of $599. The keyboard has a cost of $200 and the pen will cost $99. This seems to be, in fact, a major competitor in the “2 in 1” world. So, what do you think about this? Simply share all your views and thoughts in the comment section below.